Air Supply in Montreal or Quebec City? Inform me about the next events for Air Supply. Enroll yourself to our priority waiting list for Air Supply to be alerted when new tickets are available. Filling this form doesn't engage you to any purchase. 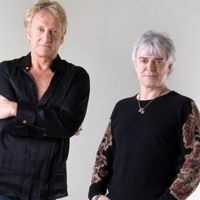 Air Supply is coming to Montreal for an intimate and romantic concert at the Metropolis, on October 25th, 2012. The Australian soft rock duo will be performing their many hits, namely Lost in Love, All Out Of Love and The One That You Love. Don't miss this special evening with one of the 80's finest ballad band!